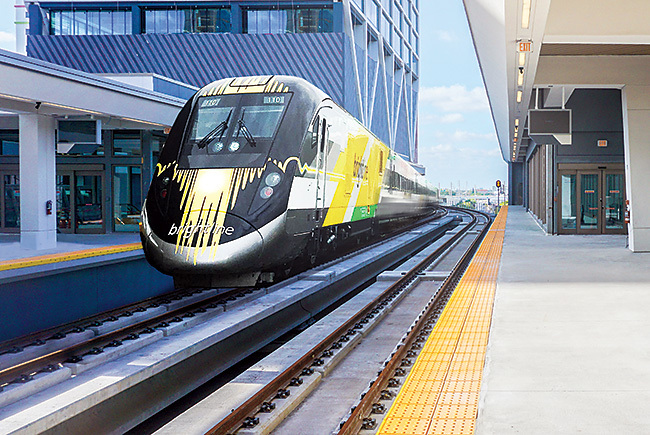 Creating Brightline involved the $1.7-billion task of adding a second track to the existing rail line and constructing stations in Miami, Fort Lauderdale and West Palm Beach. Henry Flagler's railroad ran down the entire east coast of Florida by 1912, including a railroad bridge that linked Miami to Key West. 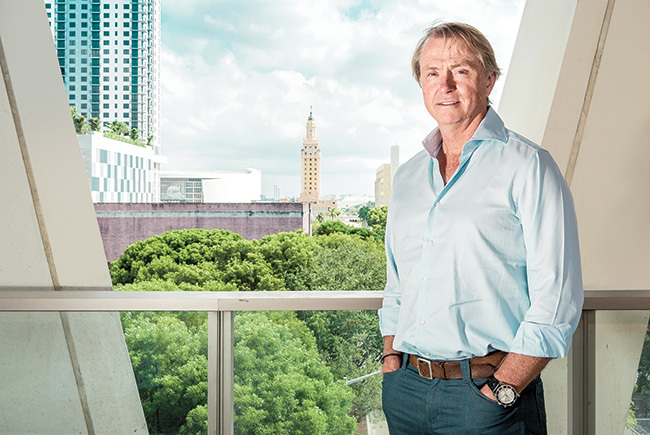 Fortress co-founder Wes Edens was inspired to start Brightline after reading "Last Train to Paradise" about Henry Flagler. 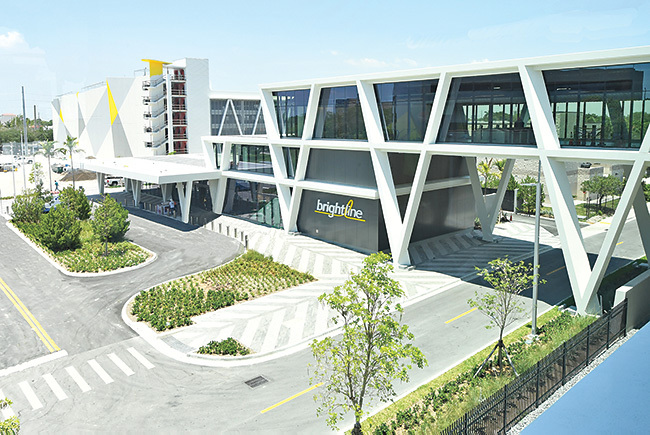 The Brightline Fort Lauderdale station. Brightline seeks to exploit a travel niche of 250 to 300 miles - "too short to fly, too long to drive." It targets both business travelers and tourists with amenity-laden service. 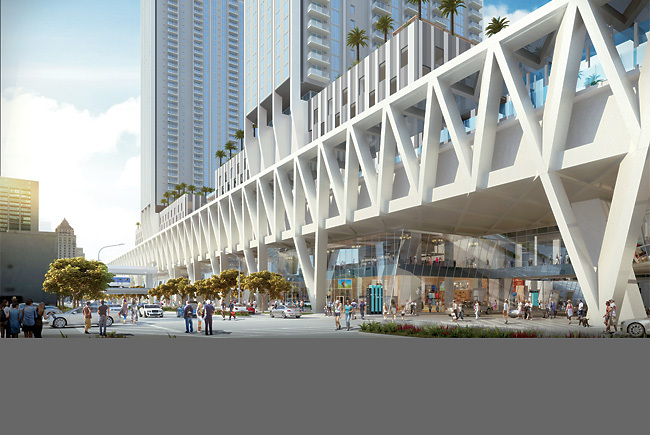 In Miami, Brightline is developing a six-block project surrounding its MiamiCentral station, including two 30-story apartment towers atop the Brightline platform. Brightline President Patrick Goddard says the company may have an expansion announcement within a year. Once upon a time, private passenger rail helped create modern Florida. This year, it began reshaping Florida again, with the state emerging as a national rail leader thanks to the Brightline passenger train. 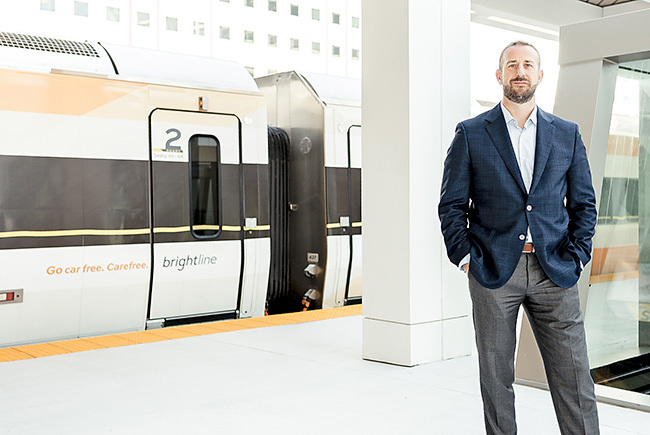 Brightline began service between Miami and West Palm Beach, started construction on the leg to Orlando and broached the idea of extending the line on to Tampa. Meanwhile, while a publicly financed bullet train effort in California is in shambles, Brightline’s parent is acquiring a company with the rights to develop private passenger rail between Las Vegas and Southern California and has been inundated with calls from other cities looking at its model. Gopal Rajegowda went to grad school at Columbia in New York and worked for years in Manhattan for developer Related Cos. Now leading Related projects in West Palm Beach, he’s ridden the new Brightline train more than 25 times since it began running between West Palm and Miami in May. 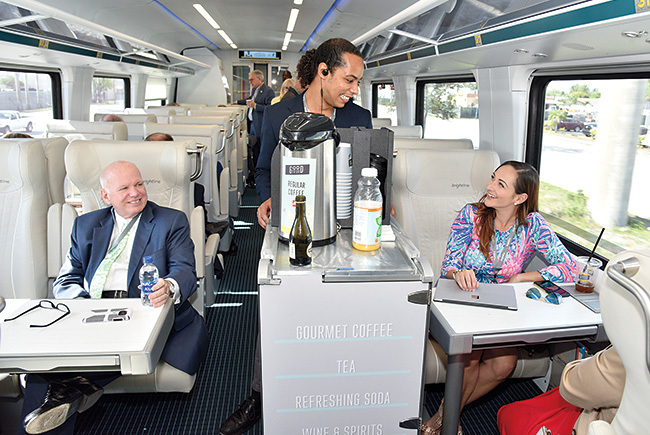 In November, Brightline and Virgin Group announced that Virgin Group is making a “minority investment” in Brightline as part of a strategic partnership that also involves a licensing agreement. Brightline will rename itself Virgin Trains USA this month and transition to Virgin Trains USA branding in 2019. Executives of Brightline and its parent, Fortress Investment Group, will continue to manage and operate the train, the first new major private intercity passenger rail in over a century. In England, Virgin Group operates Virgin Trains, a high-speed intercity passenger rail system that it has run for 21 years. 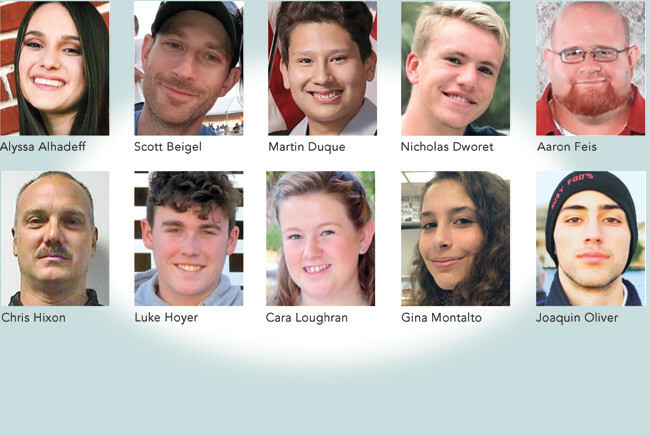 More in the news release. 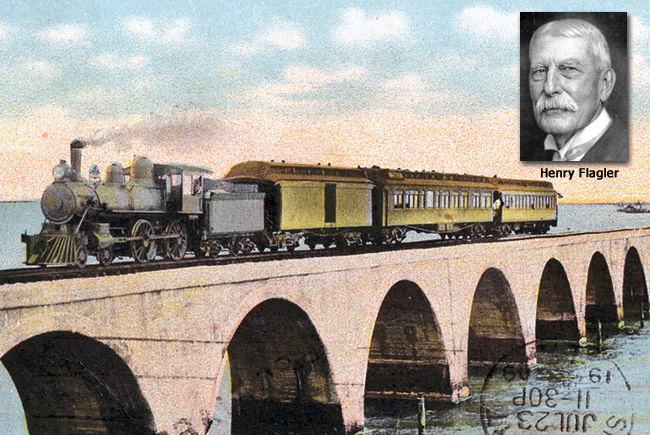 Modern Florida arrived by rail with Henry Flagler, a 19th-century industrialist who co-founded Standard Oil and built what became Florida East Coast Railway down the state’s eastern coast. But by the mid-1960s, intercity passenger rail was foundering in the U.S., disrupted by the ease and comfort of auto travel on the expanding network of interstate highways. Ultimately, 20 railroads handed over their remaining passenger routes to a government-created corporation, Amtrak, which has operated intercity passenger service ever since— with heavy subsidies totaling more than $46 billion since 1971. Beginning in the 1980s, various governments have talked of copying high-speed rail systems in Europe and Japan. Plans in Florida started and stopped under a series of governors. In 2000, Florida voters approved an amendment that wrote high-speed rail into the Florida Constitution, then changed their minds four years later and removed it. The Obama administration resurrected the idea of high-speed rail in Florida and dangled $1.25 billion in federal funds to pay for half the cost of an Orlando-Tampa leg. As projected costs soared north of $20 billion for a statewide system — along with the prospect of the state getting stuck with a big ongoing bill to operate it — Gov. 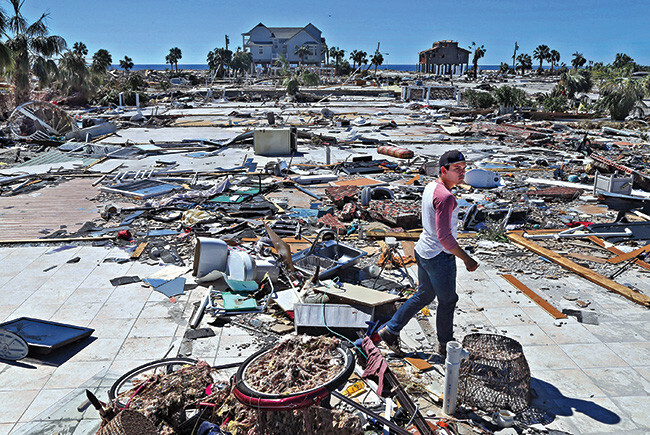 Rick Scott in 2011 followed the example of other states and rejected the federal money. California, which carried on with voter-mandated Los Angeles-San Francisco highspeed rail, has seen costs more than double to $77 billion in seven years. Completion — once targeted for 2020 — has been pushed back to at least 2033. Funding is uncertain, and California courts are jammed with train-related lawsuits. Meanwhile, in 2007, as Florida seesawed over a government-run train project, New York-based private equity firm Fortress Investment Group paid $3.5 billion for Florida East Coast Industries, the freight line and real estate descendant of Flagler’s railroad. Fortress’ basic strategy is to imagine new ways to reap money from old assets like the Florida railroad. Fortress cofounder Wes Edens, a co-owner of the NBA’s Milwaukee Bucks, has gravitated in his career from financial investments to company-building. Edens read author Les Standiford’s “Last Train to Paradise: Henry Flagler and the Spectacular Rise and Fall of the Railroad that Crossed an Ocean,” an account of Flagler and his railroad. “In many respects, it was the train that created Florida,” Edens says. Edens thought there might be opportunity to reintroduce passenger service on Flagler’s old line. He sent Florida East Coast executives to study trains in Europe, Asia and the Northeast U.S., the only region where Amtrak’s routes, including the Acela, are profitable. They concluded that a viable niche existed for intercity passenger rail linking cities 250 to 300 miles apart, a distance “too short to fly, too long to drive” — a phrase that became a mantra at the company. Edens and the Florida East Coast braintrust decided the answer in Florida wasn’t high-speed rail but fast rail, with trains topping out at 79 mph in Southeast Florida and upward of 125 mph between Brevard and Orlando. Florida makes an ideal test bed. Orlando and Southeast Florida are major population centers and tourism markets, the right distance apart with highly congested roads at each end. Fortress has things in its favor. It didn’t have to acquire real estate or rights of way in Southeast Florida since it owned the Florida East Coast Railway line, and though it sold FEC’s freight business and line to Grupo Mexico last year, Fortress and Brightline have a perpetual easement to run passenger rail on the line.